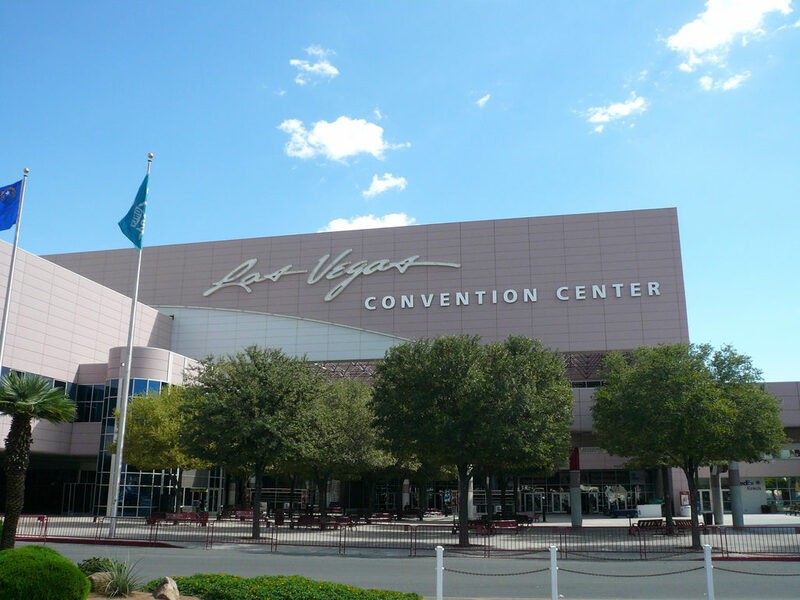 The Las Vegas Convention Center (also known as the LVCC) is perhaps the most renown trade show and convention venue in the Las Vegas area. In fact, the LVCC is the largest, single level exhibiting venue in the world. The building encompasses 3.2 million square feet, 2 million square feet of that being exhibiting space alone. In addition to the exhibit space, the venue also includes 144 private meeting rooms, where business conversations and other important meetings can take place. The venue was built and opened in 1959. It came to be after the city realized that there was a need for a more formal convention center of this scale in the area. Since its construction, the convention center has undergone four major expansions, in 1971, 1990, 1998, and 2002, making it the large scale exhibiting center it is today. In 2018, a nearly $1 billion expansion was approved to enhance the aesthetic design of the building, expand meeting space within, and perhaps most importantly, connect the venue to the Las Vegas Strip. The exhibit halls themselves have a ceiling height ranging from 25-feet to 35-feet. They are all temperature regulated with heating/air conditioning and are equipped with fire sprinkler protection throughout. The entire exhibiting space consists of 13 exhibiting halls, that can be adjusted with walls that are movable and adaptable to meet different space needs. The venue’s 144 meeting rooms vary in size, having the capacity to hold anywhere from 25 all the way up to nearly 3000 in seating room. The LVCC also includes a grand lobby and registration area to cater to all events. View a map of the convention center. In addition to meeting halls and exhibiting space, the venue features two restaurants that have the capacity to seat 1300 guests, 18 individual concession stands, as well as a cafe. This ensures that every guest attending an event or a trade show at the Las Vegas Convention Center will have everything that they need all in one place. For more details regarding what the Las Vegas Convention Center has to offer, click here. The LVCC is also just 10 minutes away from The Strip, where dozens of other hotels and resorts are located if you choose to stay there. This world renown venue is located only 4 miles from McCarran International Airport in Las Vegas, Nevada. This is a quick 15-minute drive to the convention center, making it easy to go to and from when traveling. The Beatles performed at the LVCC on August 20, 1964. The venue was the location for show tapings such as shows on The Food Network. If you are planning on exhibiting at an event being hosted at the Las Vegas Convention Center, reach out to us today for more information on how we can help. Learn more about other venues in Las Vegas: Wynn, Westgate, Caesars Palace, Las Vegas Marriott, Sands Expo & Convention Center, Mirage, MGM Grand, and Mandalay Bay.